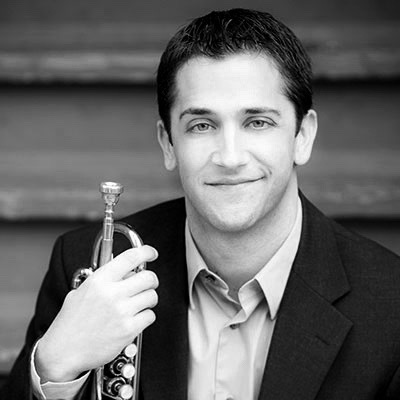 Matthew Vangjel is the newly appointed Assistant Professor of Trumpet at Louisiana State University in Baton Rouge. Previously, he held positions at the University of Texas-San Antonio and the University of Arkansas-Fort Smith. He is a graduate of the University of Missouri – Kansas City (UMKC), where he served as the Graduate Teaching Assistant for the trumpet studio while earning a Doctorate of Musical Arts in Trumpet Performance. Prior to his studies at UMKC, Vangjel held a Graduate Teaching Assistantship at the University of Michigan in Ann Arbor, where he completed master’s degrees in both Trumpet Performance and Chamber Music. He also holds a bachelor’s degree in Music Education from James Madison University in Harrisonburg, Virginia. In addition to his current duties at LSU, Vangjel is an active performer locally and nationally. Currently, he is a member of the Mirari Brass Quintet (Ariel Artists) with whom he maintains an active touring schedule. Mirari Brass is set to release its second album in 2016. Vangjel is also a member of the internationally acclaimed Fountain City Brass Band (FCBB). He can be heard as solo flugelhorn on all of the FCBB albums. As an orchestral musician, Vangjel has performed with the Kansas City Symphony, Louisiana Philharmonic, San Antonio Symphony, and many others in Missouri, Kansas, and Arkansas. He has been called upon as a featured soloist with the Fort Smith Symphony, Kansas City Civic Orchestra, Northland Symphony Orchestra, and the Metropolitan Youth Orchestra of Kansas City.